I'd like to give the possibility to editor user to change the logo. The role is based on Editor role with the capability 'edit_theme_options' added. 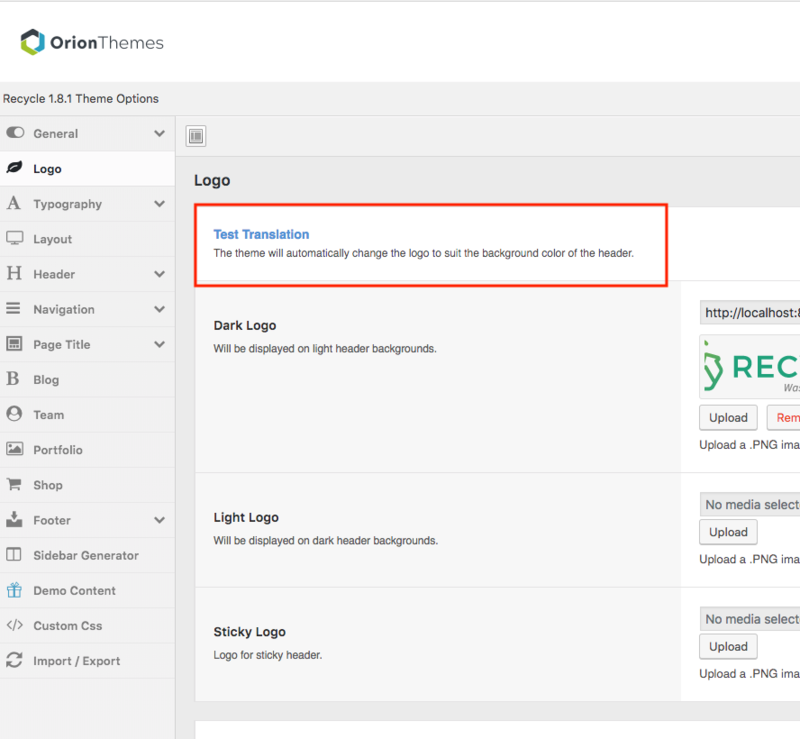 Is it possible to give access to the panel "Logo" from "Theme Options", and just this panel ? But the thing is, that if the user updates the plugin, all this customisation will be gone. Also we tend to add options with new updates, so preventing plugin updates is not something I can really recommend. Tanks Andrej for your answer. I managed to do what i wanted : give access to Editor role to the LOGO section in THEME OPTIONS. and it's working great ! Note : Of course, each time the plugin will be updated, i will have to reedit these 2 files. Great, I am glad it worked. One quick question. The theme is not supporting tagline right ? I'm trying to translate LOGO section in THEME OPTIONS. Tagline is not supported, adding it to header-widgetfluid.php will add it only to one of the headers. The second header template file is header-classic.php. Alternative approach would be to copy the function orion_get_logo() from helpers.php (line 342 ) to your child theme's functions.php file and add tagline inside, so it would render with the logo function. Both solutions are equally good. You'd need to add your own checkbox option, then check if checkbox is on or off. You can do this with redux, you've already modified the general-layout.php file in the plugin anyway. 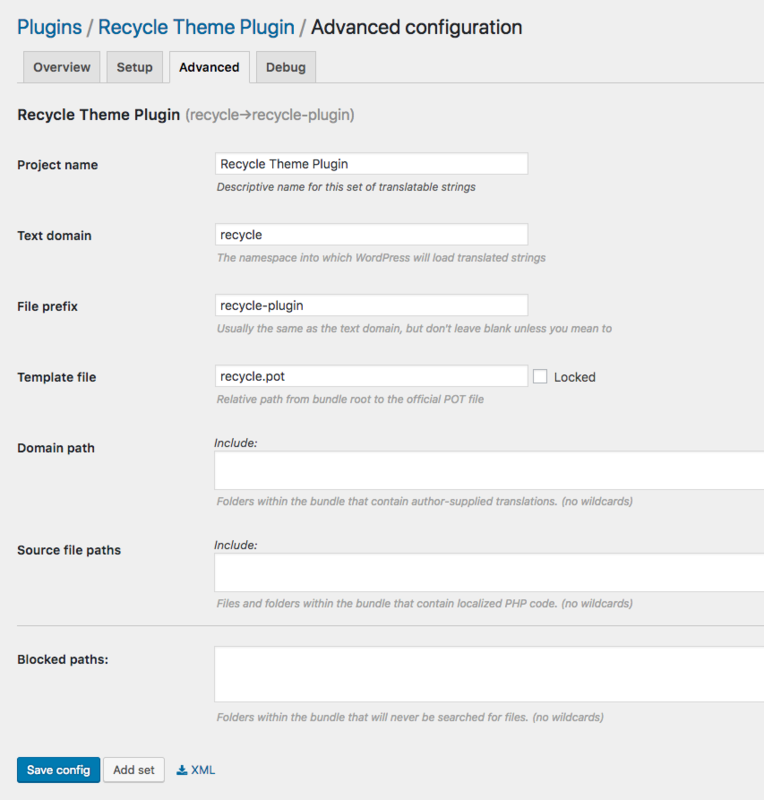 Theme options are located in a plugin (.../recycle-plugin/). Loco translate can translate it. I've used it to create the .pot file, which you can use as a template file for loco translate. 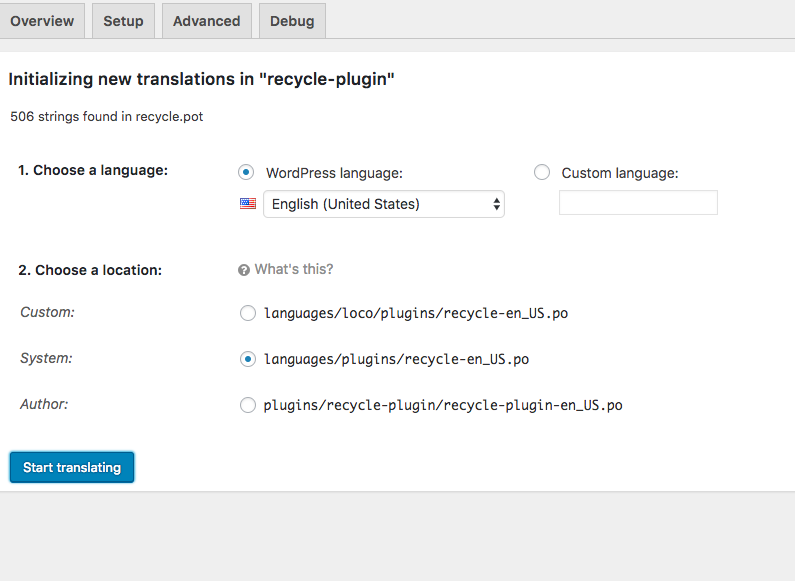 Just copy it to /wp-content/plugins/recycle/plugin, then go to Loco Translate -> Plugins and create your language file for the recycle-plugin. Again thank you for your big help ! no change, still in english. - Check if your current user has the language set to French in Users -> Your profile. Thanks, i tried to follow your instructions but no luck. - rename "recycle.pot" into "recycle-plugin.pot"
Also in location of the language, it had to be System (i tried Custom at first, and it didn't work). What do you think about this method ? Is it strange that i should rename the .pot file and change textdomains in template of the plugin ? It seems that the text domain, if not defined elsewhere is the name of the folder. So we should be using recycle-plugin in this case, or define custom text-domain. 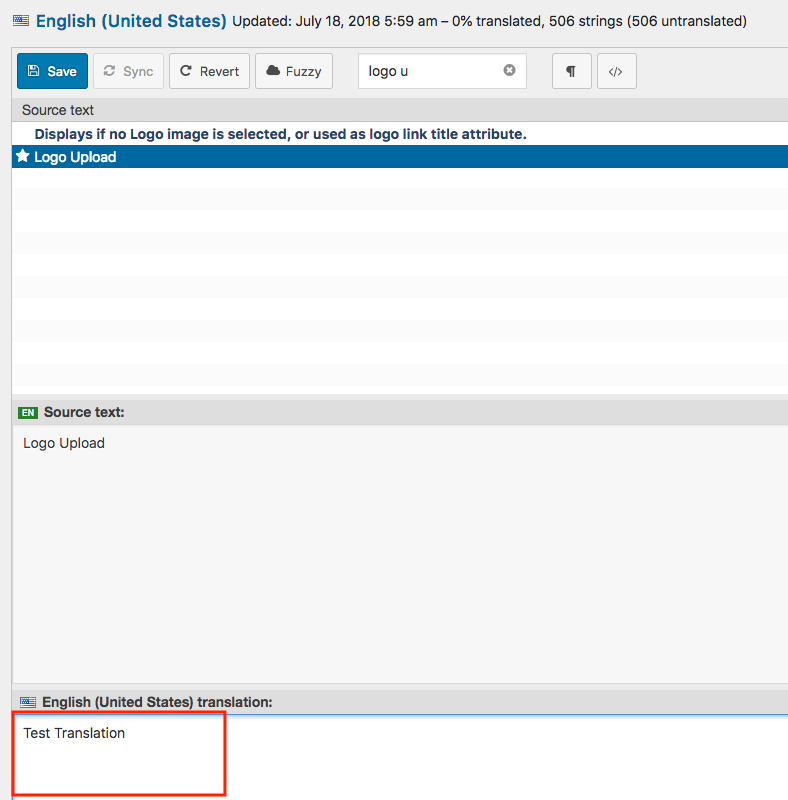 In Loco Translate, when you create (or edit) a template, there is an "Advanced" tab, under this tab you can set the text domain, file prefix and template file separately. I actually thought this configuration is saved in the pot file, I was wrong however. It can be added as xml however (attached). We will improve this in the next update. For backward compatibility reasons, we will not change recycle to recycle-plugin, but will define a text-domain plugin header. so I should restart from fresh ? use "recycle.pot" and modify settings in advanced tabs like you did ? Well you know what they say, don't fix it if it isn't broken. I think there is nothing wrong with how you solved it. I can't find this string on my development version. It is possible that this has already changed since last TF version.